PR and Copywriting might seem like something you can do yourself. It’s just words after all, isn’t it? More to the point, nobody knows your business better than you. It might even seem odd to think about trusting someone else to convey your message. The problem is… do you have time to write your own press releases, brochure copy and web text? And can you do it in such a professional way that people are engaged, entertained and informed? Wouldn’t you be better concentrating on your core business and leaving the text to a professional? 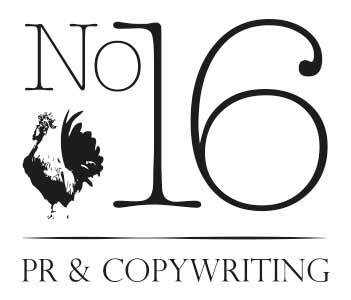 I regularly work with Laura at No.16 PR & Copywriting to ensure that my clients’ marketing is written in a clear, concise and captivating way. Using a professional writer means that your potential customers won’t be deterred by spelling errors or confused by clumsily worded copy. We can help ensure your message is conveyed to your target audience in the most persuasive manner. Get in touch with some basic info, and we can have a no-obligation chat about your project. See what I’m up to on social media.